After four cities, four weeks and so much denim, Fashion Month is over. But what were the best modeling moments from the past month of spring 2015 previews? Don’t worry, from Kendall Jenner’s catwalk takeover to Gemma Ward’s comeback we covered some of the most memorable models from the shows. 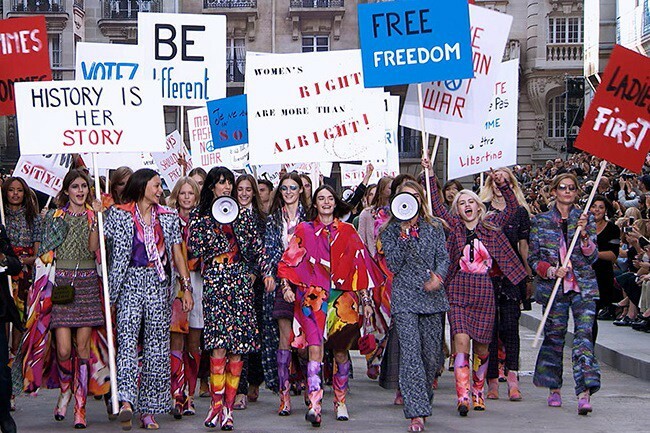 Chanel took on feminism for its spring-summer 2015 show. While it sparked a debate on whether such an issue was an appropriate topic for a fashion show, it certainly made for one of the most memorable finale moments in recent years. Models including Cara Delevingne and Gisele Bündchen held loud speakers and posters that featured slogans that ranged from empowering to more funny. Gemma Ward‘s appearance at Prada’s spring 2015 show caused many people to lose their minds, and rightly so. After a six year break from the catwalk, who could predict that Ward would make a comeback and still have the whole fashion world talking? Supermodel Naomi Campbell walked in Diane Von Furstenberg’s show during New York Fashion Week. 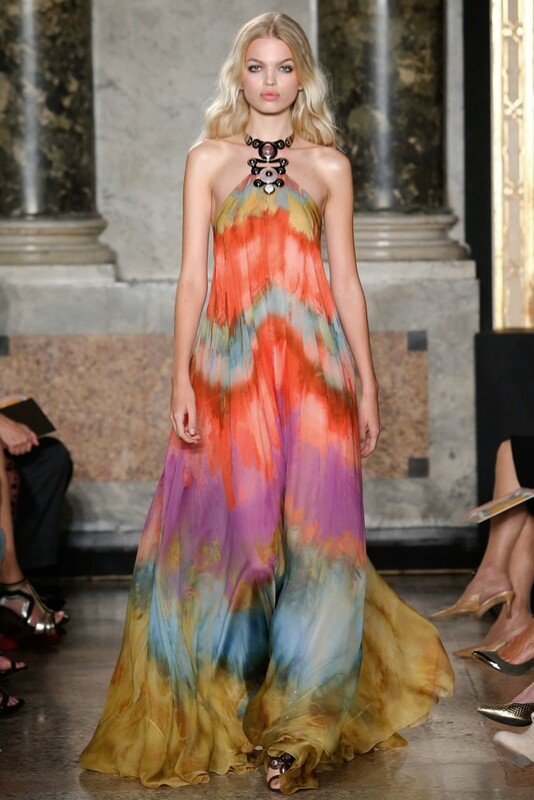 But she also surprised us again by walking in Emilio Pucci’s spring show during Milan. We must add she looked as fierce as ever. Kendall Jenner officially cemented her sport as a model by walking a few prestigious shows this season including Chanel, Marc Jacobs and Givenchy. She may have gotten bullied, and the debate still rages on about whether she would get these jobs without her famous name, she seems here to stay. Dutch model Daphne Groeneveld took the fall-winter 2014 season off from the catwalk, but was back with a vengeance for spring. Walking shows like Chanel, Gucci and Marc Jacobs, Daphne seems to be back full force. With past campaigns for Dior, Roberto Cavalli and Givenchy, we hope to see more from this model. Balmain not only had a diverse cast this season, but also a who’s who of the modeling world. From Jourdan Dunn to Karlie Kloss to Liu Wen to Rosie Huntington-Whiteley, it was a cool selection of relevant girls.